Get ready for summer…strength & conditioning! On-line registration is now open for Venom Camp and Physical Exams! CLICK HERE or go to: https://www.rankonesport.com/Public/Camps/CampsList.aspx?D=14265e95-1b33-45ed-ba02-dbf56aa18ee4. 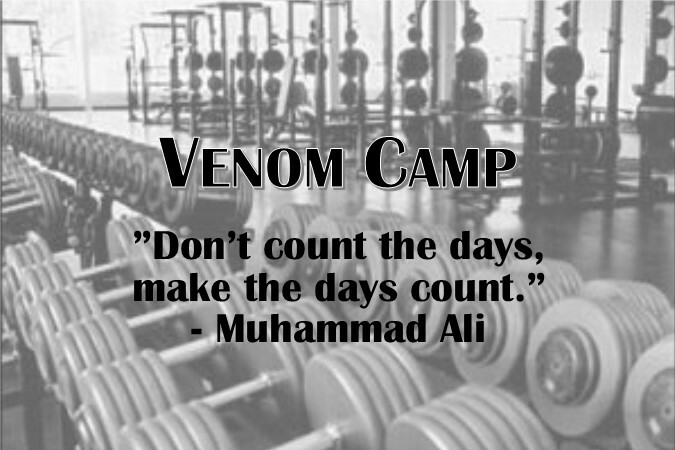 Venom Camp is strength and conditioning for incoming and current Reagan, Bush, and Lopez athletes. These camps meet at various times Monday – Thursday beginning Monday, June 17 – Friday, July 26. Physical Exams NEISD is offering Athletic Physicals for Reagan Athletes on Saturday, May 18, 2019 at Littleton Gym for only $20 (pre-pay only by May 13). Sports Camps Details coming soon! Reagan Athletics is looking forward to seeing you on the field and in the gym this summer!